Kantar Worldpanel introduced "Price&Promotion Optimizer",as well as sharing actual study cases. 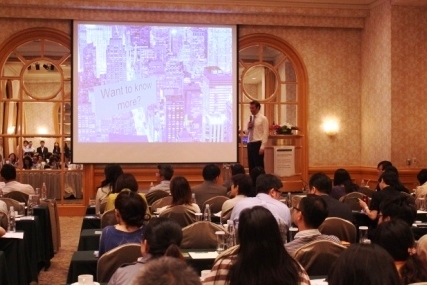 World Leading Consumer Insight provider Kantar Worldpanel held a seminar on April 24th at The Sherwood Taipei, introducing the company's latest product innovation "Price&Promotion Optimizer", as well as sharing actual study cases. In recent years, economic uncertainty pushed consumers to search for a better balance between Cost & Value, and manufactures are swirled in the tide of Promotion and Price, fighting market share inch by inch with the expense of margin and innovation. Therefore Kantar Worldpanel, as the your best insightful business partner, would like to share with you our new solution to help you find the best Price point and the most efficient Promotion strategy. Click here to download "Aim Shelves, Win Sales" Click here to download "Price & Promotion" Click here to download "Baby Evolution"